EPA 33 MPG Hwy/25 MPG City! Havanna Black metallic exterior and Nougat Brown interior, 2.0T Premium trim. Moonroof, Heated Leather Seats, Rear Air, Aluminum Wheels, Turbo Charged Engine. AND MORE! Leather Seats, Rear Air, Heated Driver Seat. Audi 2.0T Premium with Havanna Black metallic exterior and Nougat Brown interior features a 4 Cylinder Engine with 220 HP at 4450 RPM*. MP3 Player, Sunroof, Aluminum Wheels, Remote Trunk Release, Keyless Entry, Steering Wheel Controls, Child Safety Locks. 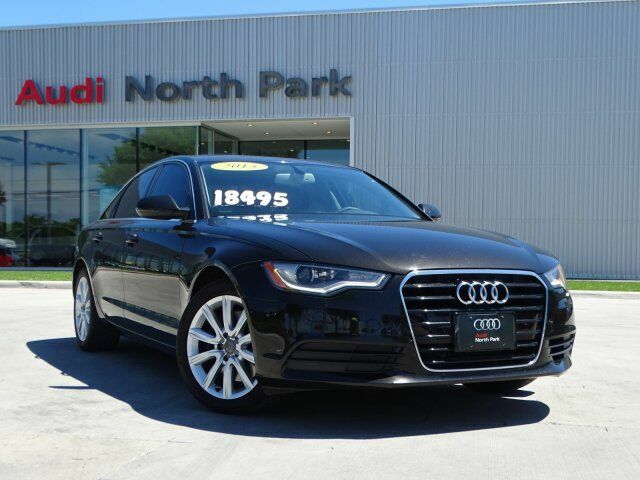 Edmunds.com explains "The 2015 Audi A6 has excellent driving dynamics, a welcoming interior, masterful engines and technology aplenty. It's one of our favorite midsize luxury sedans. ".